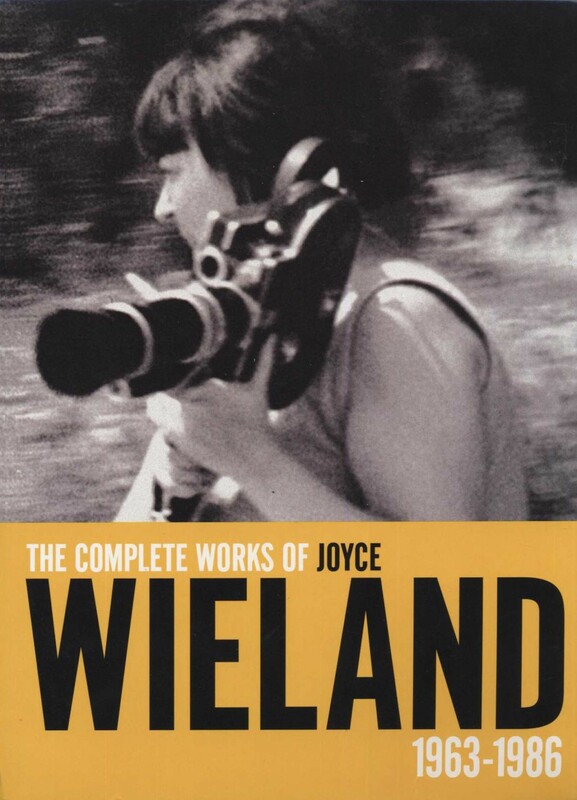 This 5-disc set brings together for the first time the film works of Joyce Wieland (1931-1998), largely regarded as one of Canada's most influential and important artists. Spanning a period from 1963 to 1985, the collection includes sixteen shorts and two feature films made from new high-definition digital transfers.A multi-disciplinary artist who produced work in a wide variety of media, Wieland's intelligent and irreverent explorations of female sexuality, domestic life, ecology and Canadian nationalism put her at the forefront of feminist practice. Wieland made her mark in the film underground in New York in the 1960s, where she was associated with structural filmmakers such as Michael Snow and Hollis Frampton. While her films employ materialist formal strategies, the irony and socio-political content of her work sets her apart from her structuralist compatriots, as does her exploration of narrative. The collection is accompanied by critical texts by scholars Kristy Holmes, Anne Low, Allyson Mitchell, Izabella Pruska-Oldenhof, Johanne Sloan and Leila Sujir. It will be of vital interest to film- and art-lovers alike, as well as those involved in the fields of film studies and production, visual arts, art history and women's studies. Study Guides are available for download. Wieland's kinetic romp casts David Shackman as an overexposed sleeper dogged by a patriotic march of tube steaks that finally refigures him as our most familiar icon of freedom. This pixillated short about hot dogs is the latest of Wieland's early film works to be restored to circulation. In a way a portrait of Dave Shackman with the American flag. The ending is a stop-motion animation of a set table with food moving and swirling and finally gathering together in a ball. Looking back at the film, the animation sequence seems to foreshadow Dave Shackman’s early death. He died shortly after the film was made. Filmed in Joyce Wieland and Michael Snow's loft in New York, the film covers a day of friends visiting, writing and drawing from noon of one day to dawn the next day. The soundtrack was done by Paul Blay. The 16mm film is a blow-up of grainy 8mm stock. A film on the Dare strike of the early 1970s. Hundreds of feet and legs, milling, marching and picketing with the word “solidarity” superimposed on the screen. The soundtrack is an organizer's speech on the labour situation. Like her films Rat Life and Diet in North America, Pierre Vallieres and Reason Over Passion, Solidarity combines a political awareness, an aesthetic viewpoint and a sense of humour unique in Wieland's work. “Hollis and I came back to Toronto on holiday in the summer of '67. We were staying at a friend's house. We worked our way through the city and eventually made it to the island. We followed each other around. We enjoyed ourselves. We said we were going to make a film about each other - and we did.” - Joyce Wieland A & B in Ontario was completed eighteen years after the original material was shot. After Frampton's death, the film was assembled by Wieland into a cinematic dialogue in which the collaborators (in the spirit of the sixties) shoot each other with cameras.